English lessons are really interesting and interactive; we play a lot of games to help us to improve our language skills. We learn by having fun – lessons aren’t boring and seem to go by so quickly! The atmosphere at the school is great too – everyone is really friendly and supportive. Britain is a country full of hidden secrets and this course will take the students on an epic journey through their host nation to discover the places and people that make this country what it is. Research into the different geographical regions of the UK. An investigation into historical landmarks and key people of British culture and history. An enquiry into the history and origins of the British people. Study tours: London, including the London Eye, and Cambridge. Week 2: Recipe for success. This project looks at what it means to be successful in the twenty-first century. Students may carry out a business planning and presentation project or conduct an investigation into the key qualities and practical skills which they can develop in order to reach their goals. How can we design and market a product? Study tours: London, including Madame Tussauds, and Oxford. Technology has become a way of life for nearly all of us. In this project the students will be encouraged to use their love of technology and their own devices to help them widen their vocabulary and improve their communicative skills. How will technology change our lives in the future? How can we use technology and games to improve our language skills? Research into the historical development of computer and communication technology. Preparing for the study tour by taking a virtual reality tour using their own smart phones. Profiling and reviewing the latest and most popular computer games. Improved ability to use future forms to make predictions about the development of technology. Students will be required to think critically and speculate on future developments in technology and its potential. Study tours: London, including the Science Museum, and Bletchley Park. 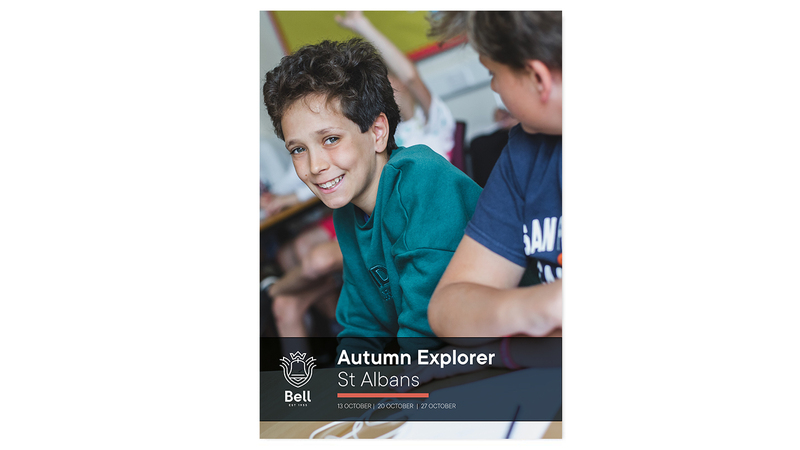 IN 2018 BELL SCHOOLS WELCOMED YOUNG LEARNERS FROM 68 COUNTRIES.